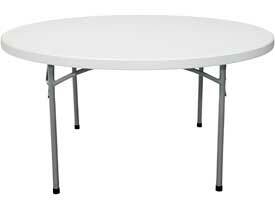 1- 60″ Round Table. Round tables add a more elegant look to any event. These round tables seat anywhere from 8-10 people per table. Add linens to any round tables for an additional fee.